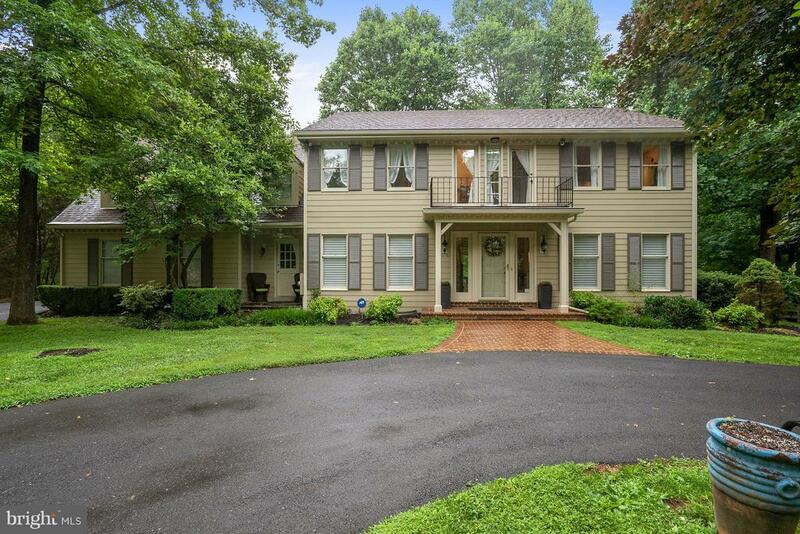 All Darnestown homes currently listed for sale in Darnestown as of 04/24/2019 are shown below. You can change the search criteria at any time by pressing the 'Change Search' button below. If you have any questions or you would like more information about any Darnestown homes for sale or other Darnestown real estate, please contact us and one of our knowledgeable Darnestown REALTORS® would be pleased to assist you. "See Floor Plan Tour for interior pics @wfp.com. Spring is here and this is what you've been searching for if you dream of a home where you have privacy, serenity,multi-level outdoor entertainment space, ie, porches, patios, screened porch, hot tub, firepit, raised bed gardens, water feature, huge 4+ car garage with myriad possibilities. Dream of views from every window that bring calm to your stressful life AND<20 miles from DC SCIF READY! If you know what that means, you probably need one! ;-)"
"Exquisite custom estate situated on a gorgeous 5.01 acre, cul-de-sac lot. It~s sumptuous interior includes towering windows and generous living spaces on four levels. The dynamic main level includes a two-story foyer, large living room, separate formal dining room, gourmet kitchen with stainless appliances, Sub-Zero refrigerator, Viking 6 burner cook top and breakfast area, magnificent 2-story great room and marble fireplace and large windows facing the woods, library/bedroom, full bath, powder room and access to 4-car oversized garage parking. The upper level with spacious owner~s suite with 3-sides fireplace and private sitting area, and luxurious marble bath, two bedrooms with a shared marble bathroom, and an additional bedroom with its own bath and stairs to fourth floor loft space. Laundry room conveniently located on the second floor. The expansive lower level completes the home with a large recreation room, bedroom, full bath and unfinished room prewired for sound. The new buyer gets to choose carpet from seller~s selected samples which will be installed prior to the settlement. The oversized deck, with sound system, overlooks the yard and woods. Home is supported by the backup generator and central vacuum cleaner system. Owner is a licensed real estate agent." 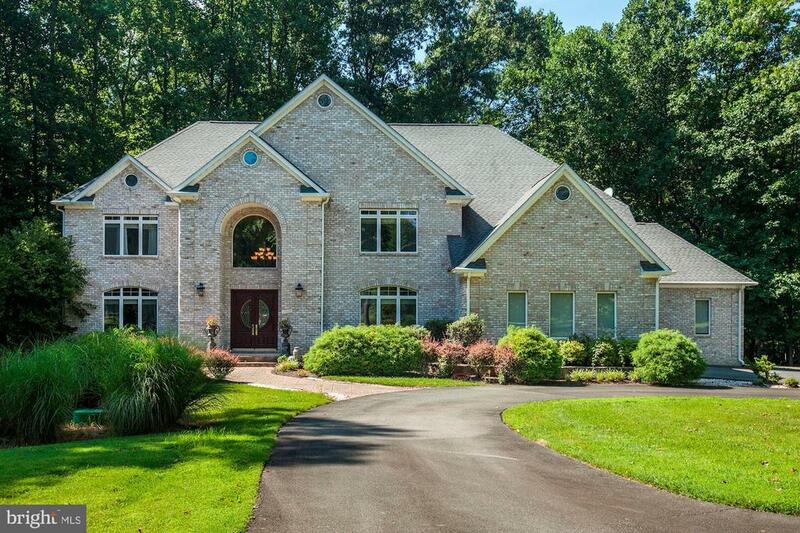 "Regal Estate nestled on wooded lot w/ circular driveway in Seneca Highlands! Custom interior including an open concept granite & stainless chief's kitchen, new wood floors & a gas burning fireplace surrounded by floor-to-ceiling windows. Distinctive architectural features including a turreted covered front entry, custom double front doors, coffered ceilings, plus a 3 car garage." "SPRING HAS SPRUNG! PRICE REDUCED BY $146,000 - PRICED TO SELL - MOTIVATED SELLER! Just off the Potomac River in Darnestown. Exquisite 4 BR 3.5 BA all Brick Custom Rembrandt Home. 5,446 SF of FINISHED Space 2 main levels, Lower level unfinished ready for your design, 3 Car Gar with circular drive, 2.5 acres, 40 ft. in-ground pool, deck/pergola. Approximately $200,000 in improvements!" "This is the home you've been waiting for. Gorgeous Charleston built home on a premium 2 acre cul-de-sac lot in the highly sought after community of Spring Meadows. Too many upgrades and updates to list them all, but here's just a few. Completely renovated Jack Rosen designed chef's kitchen, to include top of the line appliances 60 inch Wolf gas range with 6 burners, grill and griddle, sub-zero refrigerator, new cabinetry and awesome leathered granite counter-tops. Gleaming wood floors throughout most of the main level. Sunken Great Room with cozy gas fireplace with stone overlay and granite hearth. Two sets of washers and dryers. One set in the lower level, and one conveniently located off of the Owners bath. Expansive Owners' suite leads to a private Owners bath with new frame-less shower enclosure, sunken tub and double vanities with granite top. The finished walk-out basement has a large recreation room with wet bar, 5th bedroom and 4th full bath. Additionally, there is a relaxing Trex deck and flag stone patio overlooking one of the best lots in all of Montgomery County. This home truly is special! **Buyer to provide a completed GCAAR Financial Information Sheet and strong Pre-Approval Letter with contracts." "This one checks off all the boxes you have checked in your home search!! 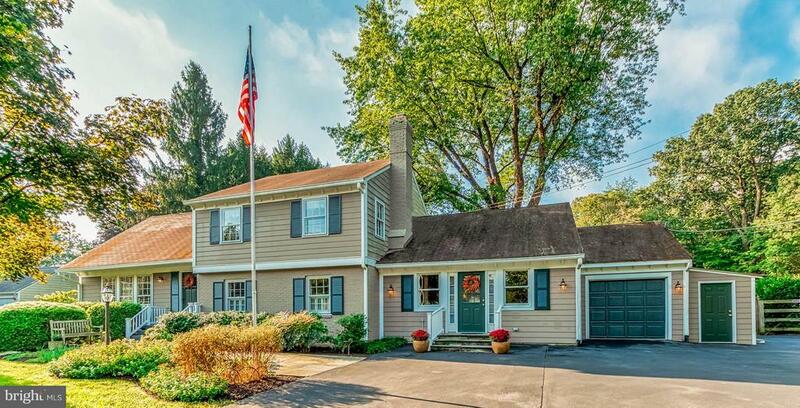 Exceptional space and value in this five bedroom, five and one-half bath brick colonial in one of Darnestown's most sought after neighborhoods. Located toward the end of the cul-de-sac your family will enjoy Spring & Summer BBQ's on the oversized deck along with big sky sunsets in the evenings! This home is an entertainers dream both inside and out and offers a great flow and floor plan. Chef's table space kitchen with new stainless steel appliances opens to family room with stone wood burning fireplace and built in wine bar. Front and rear staircases allow easy access to sleeping quarters. Unwind in your Master Bedroom with three sided fireplace and sitting room along with master bath with dual vanities and jetted tub, dual shower heads. Three additional bedrooms all with walk-in-closets and full baths complete the upper level. The lower level offers a walk-out entry to the rear yard, game room, recreation room with third fireplace and wet bar along with fifth bedroom and fifth full bath, two huge storage and utility rooms. There is a three car side load garage." "WONDERFUL ENTERTAINMENT HOME FOR FRIENDS AND FAMILY INSIDE AND OUT. ENJOY THE PRIVACY AND BEAUTIFUL VIEW FROM THE MANY SUNNY ROOMS OVERLOOKING THE DECK AND PATIO .TIME IS RIGHT TO GET THE HOUSE OF YOUR DREAMS! APPRECIATE THE PEACEFUL SETTING AS SPRING OFFERS HER NEW LIFE AND BEAUTY ON THIS QUIET TREE LINED STREET - YOUR CHANCE TO ADD YOUR PERSONAL TOUCHES AND HAVE INSTANT EQUITY! - SPACIOUS WINCHESTER BELMONT MODEL (6600 SQ FT) . WELCOMING 2 STORY FOYER W/ CIRCULAR STAIRCASE. HARDWOOD FLOORS FIRST LEVEL. GREAT ENTERTAINMENT HOME, LR, DR, 2 STORY FAMILY ROOM W/STONE WALLED FIREPLACE AND DOORS TO DECK AND GAZEBO. SUN ROOM AND CONSERVATORY/MUSIC ROOM. OFFICE/LIBRARY W/BUILT-IN CHERRY BOOKCASES. CONVENIENT 1ST FLOOR LAUNDRY/MUDROOM WITH ENTRY TO 3 CAR SIDE-LOAD GARAGE. WONDERFUL GATHERING PLACE IN LARGE KITCHEN/BREAKFAST AREA. IMMENSE SPACE IN W/O LOWER LEVEL w/ FUN MEDIA RM FOR YOUR FAVORITE MOVIE WATCHING, EXERCISE ROOM, 2ND OFFICE, BEDROOM AND FULL BATH (GREAT IN-LAW OR EXTENDED FAMILY QUARTERS). PRIVATE SLATE PATIO OFF REC RM. 2ND LEVEL HAS HUGE MASTER SUITE W/SITTING AREA, 2 WALK-IN CLOSETS, TRAY CEILING AND MASTER BATH. THREE ADDITIONAL SPACIOUS BEDROOMS AND 2 MORE FULL BATHS ADJACENT TO BEDROOMS. MANY MORE SPECIAL FEATURES IN THIS UNIQUE OFFERING! PROFESSIONAL LANDSCAPING, EXTERIOR ACCENT LIGHTING, UNDERGROUND SPRINKLER SYSTEM. TWO LEVEL DECK WITH GAZEBO. 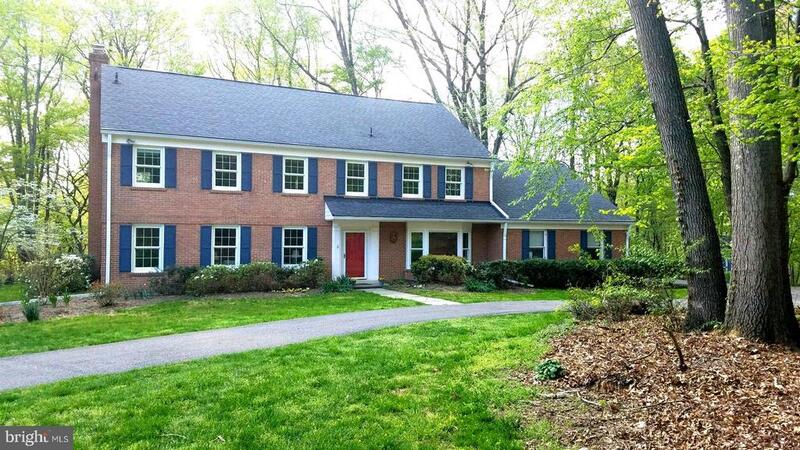 CONVENIENT LOCATION TO SHOPPING, SCHOOLS, RECREATION & MARC TRAIN FOR COMMUTING. THIS IS A GEM-JUST NEEDS A LITTLE POLISHING. OPEN SUNDAY 4/28 1-4." "This is where home begins! A beautifully designed 7,600 square foot brick front colonial offering a gracious sunlit floorplan with a natural flow. The home is purposefully positioned on a premium 2.03 acre private lot backing to a tree-lined view at the end of a cul-de-sac. Step inside and appreciate the 2-story foyer with gleaming hardwood floors. As you tour this home you will discover a well-planned interior offering living spaces for every occasion and perfect for entertaining. Five bedrooms on the upper level all feature attached full baths. Relax and enjoy outdoor living on the deck with screened Gazebo. A fully finished walk out level basement and 3-car garage round out the plentiful amenities of this grand home. There is so much to love here!" "Priced to Sell - Bring Offers! 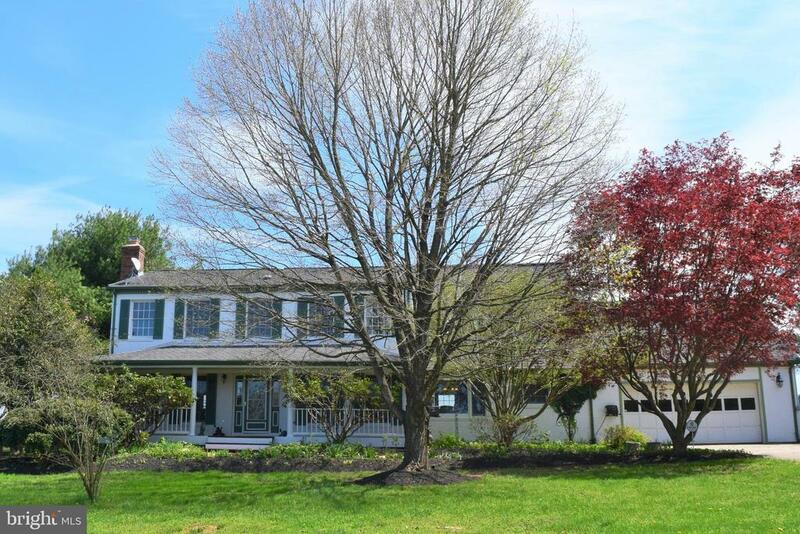 Stunning Home with Tree-Lined, Level Circular Driveway, Amazing Yard. Watch Sunrise on Patio/Sunset on Balcony. 2 Horse Barns, Hot Tub, Chef's Kitchen, Beautiful Back Splash; Sunlight FR Level to Patio; MBR w/SitRoom, FP and Balcony; Hollywood Style Makeup/Dressing Room; Spa like MB; Ample Closets; Finished LL; Generator; Sec. Sys w/Camera; Dual HVAC. Must See!" "Build your Dream Home on a 6+ac wooded estate lot! 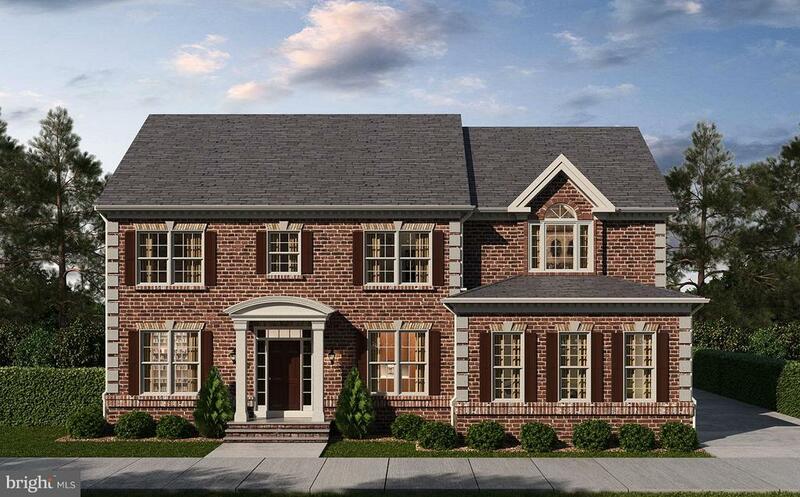 Co/Perm financing option available for ~Kenwood~ by Classic Homes, 4 bed, 2.5 baths! Enjoy the quality of life at local sports clubs. Hike, bike, or ride your horse across the street along the Seneca Greenway. Great public & private schools. 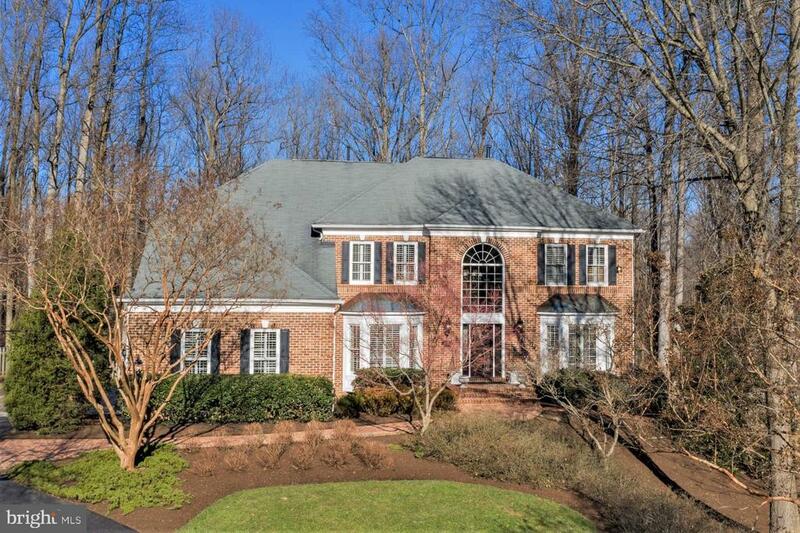 Convenient commute to I-270, 45-min to D.C. Estimated price includes 110B elevation & 45K in options." "OPEN SATURDAY, APRIL 20TH 1:00-3:00! EXCEPTIONAL OPPORTUNITY! 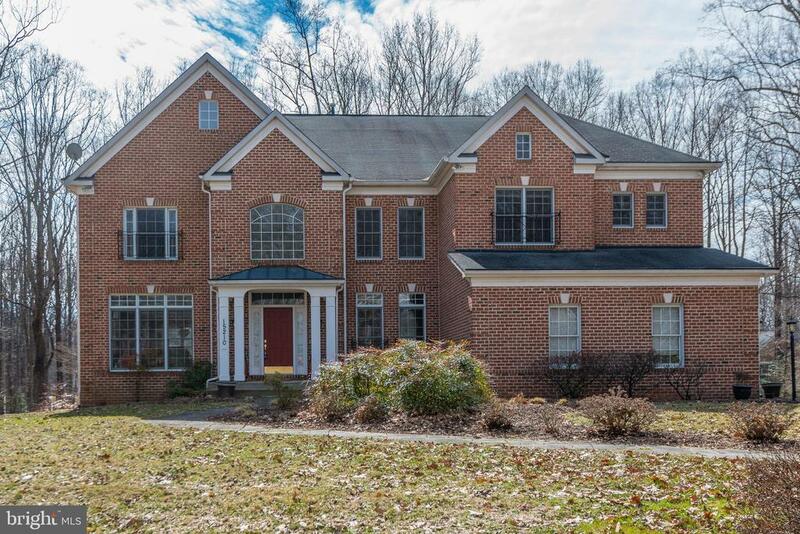 CUSTOM CRAFTED WOHLFARTH COLONIAL IN QUAIL RUN! This special property boasts beautiful updates and special amenities on three finished levels. 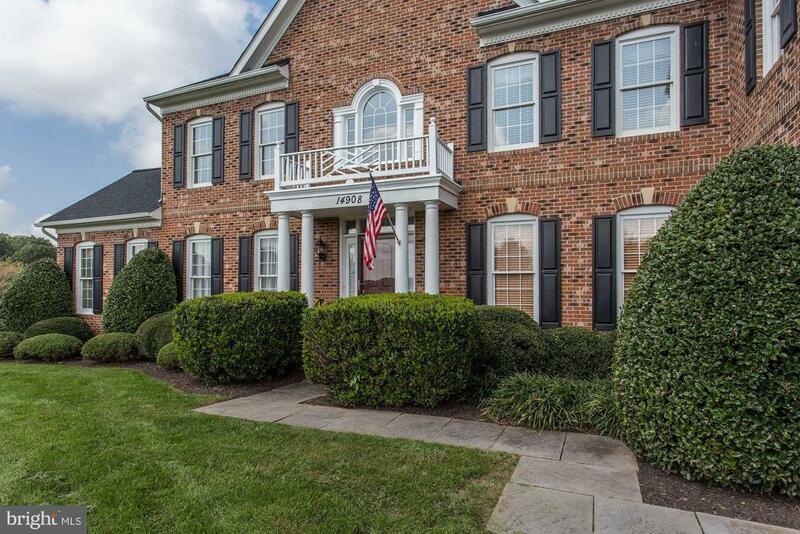 Inspired by Colonial Williamsburg, this Custom 4 Bedroom, 3 Full and 2 Half-Bath Colonial offers a perfect blend of distinctive architecture, classic lines and stunning renovations, designed with your comfort in mind. Stepping inside, you are greeted by a two-story grand foyer with gorgeous wide plank flooring, a hardwood staircase with decorative trim and wainscoting and elegant chandelier. The foyer is flanked by formal living and dining rooms, each with wide plank wood flooring and elegant wainscoting and crown molding. The living room features custom built-in shelving and cabinets and the dining room offers a classic chandelier. The foyer extends to the open gathering space in the kitchen and family room. The gourmet center-island kitchen offers rich cherry cabinetry, stainless appliances including an induction cooktop, double wall ovens and built-in microwave, granite countertops and tile backsplash. The spacious kitchen provides ample eating areas with generous table space, plus an eat-in bar at the island. The warm and inviting family room boasts exposed beams, a wood burning fireplace, access to the screened porch, wide plank wood floors and recessed lighting. This unique property offers a highly sought after first floor master suite with wood burning fireplace with charming brick surround with built-ins, a walk-in closet addition with two walk-in closets, equipped with storage shelving and multiple windows, providing an abundance of natural light. A beautifully renovated master bathroom boasts heated travertine flooring, a soaking tub with jets, a separate frameless shower with custom tile, an oversized vanity with granite counter tops and cherry cabinetry, plus an additional pedestal sink. A superb mud room with cherry cabinetry, utility sink, washer and "
"NEW PRICE!! HURRY!FALL IN LOVE WITH THIS STUNNING SHOWCASE & DOWN TO THE STUDS $400,000 RENOVATION IN 2018! Like stepping into a page from Modern Living Magazine, this remodeled contemporary colonial wows with a brand new quality and elegance throughout, its modern style, luxurious features and ultimate livability! 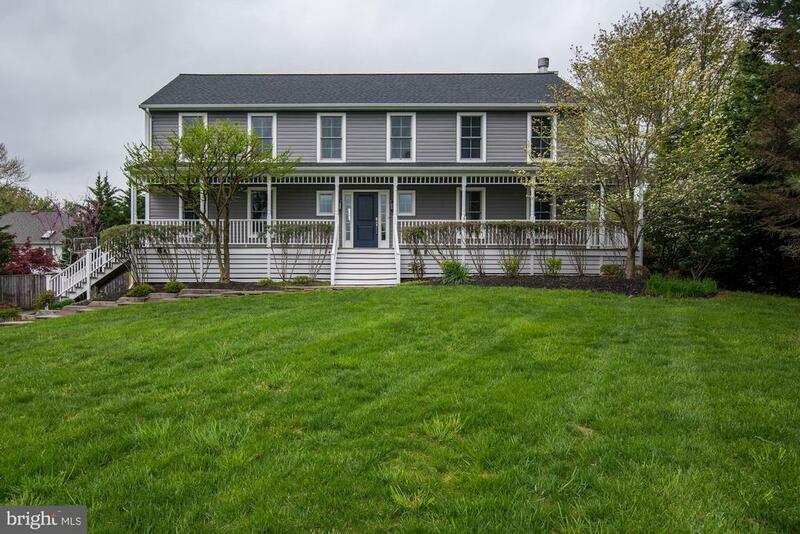 Breathtakingly beautiful, this 4 BR, 2.5BA gem brags new roof/siding, Anderson windows, copper plumbing, solid 5 inch plank maple hardwood floors, striking quartz countertops, and a gorgeous wrap around porch. The sleek gourmet Kitchen offers a clean, white-on-white motif with Kraftmaid cabinetry, Cambria quartz counters, center island, coffee bar, and stainless steel appliances blending effortlessly together and flowing easily into the sunny Family Room. Up the hardwood staircase through the 2-story foyer with 2-tier brushed nickel chandelier is a spacious Master Suite with 2 large walk-in closets including an Elfa closet shelving system, and a luxe bath with porcelain tile, Carrara marble counters, a massive Jacuzzi soaking tub and a frameless glass shower. 3 additional bedrooms and brand new hall bath with a soaking tub and double vanity complete this level. The newly finished lower level highlights full size windows, built-in shelving, a large entertaining space and access to the 2-car garage. Perfectly nestled in a wonderful established community, this amazing completely refurbished home is a rare find!" "CLOSE-IN HADDONFIELD 2 AC EST NEIGH! 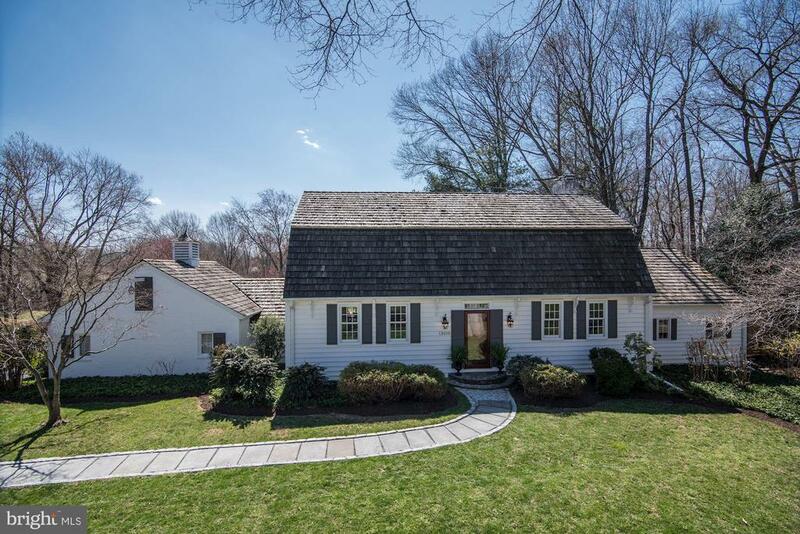 CLASSIC ELEGANCE NEW ENG COL SET WELL BACK FROM STREET ON 2 FLOWERING ACRES FOR BUYER WHO LOVES GARDENS (PAVER KNOT GARDEN/LILLY POND + 3 COTTAGE FRONT GARDEN BEDS. YOU'LL LOVE THE WIDE FRONT PORCH W/SWING TO ENJOY THE EVENING SUNSETS! ENJOY ALFRESCO DINING ON 45' DECK FACING EAST W/WILDLIFE & BIRDS ENTERTAINING YOU. ELEGANT CUSTOM INTERIOR. TWO STORY FOYER WITH CRYSTAL CHANDELIER, , GIANNETTI PLASTER CEILING HIGHLIGHTS BEAUTIFUL DINING ROOM FOR HOLIDAYS & DINNER PARTIES, PIANO SIZE BRIGHT BOX BAY LIVING RM MAKES HOLIDAYS SPECIAL & PARTIES WITH FRIENDS. ADD 2 SETS OF FRENCH DOORS & YOU HAVE WONDERFUL BEAUTIFUL HOME OFFICE. CHERRY CABINETRY COOKS KITCHEN FEATURES LARGE CENTER ISLAND CONNECTS TO CRESCENT BAY BREAKFAST AREA WITH CUSTOM BANQUET THAT SEATS 10, OPEN TO BEAMED FAMILY ROOM WITH FULL BRICK WALL FIREPLACE. SERVICE/LAUNDRY ROOM 12X14 IDEAL FOR PETS/COMPUTER RM. UPDATED CHERRY WOOD FLOORS BEDROOM LEVEL, TOTALLY REMODELED MASTER BATH W/6' SHOWER for 2 + WHIRLPOOL TUB FOR 2, GUEST BR WITH BALCONY ENSUITE BATH, PARTY/PLAY SIZE WALKOUT REC ROOM WITH NEW FLOORING,SHOWER BATH, FRAMED RM FOR GYM. FRIENDLY COMMUNITY WITH FALL PICNIC & ADULT SUMMER PARTY HOSTED BY HOA + SNOW REMOVAL." "You want privacy but need access to major commuter routes, shopping and restaurants? THIS IS IT! 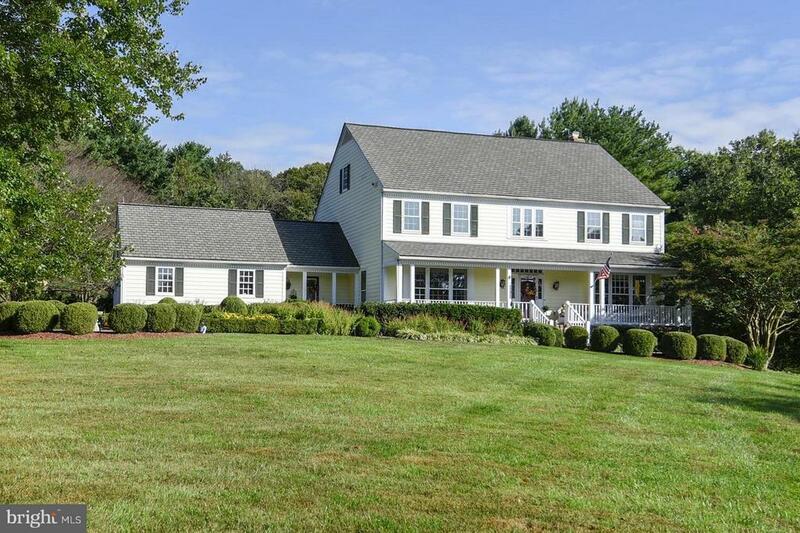 Spacious colonial on five wooded acres offers stunning views. Huge master bedroom with renovated bath and three unusually large bedrooms on the upper level, along with two additional full baths. Gleaming hardwood floors on main and upper levels! The beautiful kitchen renovation opens to a large family room. Enjoy nature while sipping your morning coffee on the huge, private screened in porch. Open floor plan. Generous mudroom/laundry on main level with new washer/dryer. A large finished rec room features new carpet on the lower level. Brand new windows! Offering privacy without isolation, this Miller built home is nestled in highly sought-after Spring Meadows. It is 2 minutes to the Darnestown Swim and Racquet Club. Well maintained and updated. No HOA." "So hard to find! This beautiful 5+ acre equestrian property comes with fully-fenced fields, a well-equipped barn AND a great house. Yes - you can have your own farmette that can be easily self-managed and features such a lovely setting with incredible views of rolling pastures and park woodlands! This location gives you the opportunity to pursue the leisure, recreation, and quality of life activities of a rural environment while retaining the convenience and amenities of urban living, including nearby shopping and access to the MARC train just 4 miles away. ~Home base~ for all your activities is a wonderfully updated and generously sized colonial, with 5,000 sq ft of finished area that is full of natural light from its numerous windows and skylights, with hardwood floors throughout. The recently updated eat-in kitchen has porcelain tile floors, granite counters, a triple sink with hot water tap, new appliances and a large center island. The spacious main level also has a gracious living room with fireplace, a den/office, separate dining area, renovated full guest bathroom, and a family room with a cozy wood stove-fitted fireplace and access onto a large screened porch and deck looking over the fields to the stable. And don~t miss the laundry and mud room combination with a tiled pet washing sink, providing direct access to the oversized two-car garage with a built-in workbench and elevated shelving for storage. On the upper level, the expansive owner~s suite features a renovated bath with a double rainfall shower with skylight, travertine and granite finishes, and separated dual vanities. This beautiful bedroom also has a large walk-in closet with built-in storage, and multiple windows that provide gorgeous views to fields and woods ~ what a great way to start your day gazing out on the peaceful scenery! The upper level also has three more generously-sized bedrooms and a renovated guest bath with travertine tub enclosure. The huge, fully finished lower level"
"RARE OPPORTUNITY & VALUE!! VERY MOTIVATED SELLER...WANTS OFFER NOW!!! 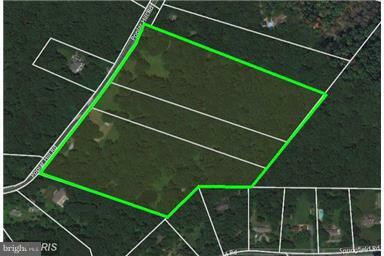 Package consists of 3 contiguous lots or one big lot att 25+ acres. House is on 10.5 acre lot. Two more parcels at 4.99 and 10.5 acres respectively. Where can you get 25+ acres in an upscale neighborhood at anything close to this price? House could be redone or most likely torn down and a new home rebuilt. Two other parcels are perk approved so can be developed and built upon. or just enjoy all 25 acres. Horses anyone? Great upside potential at a bargain price!!" 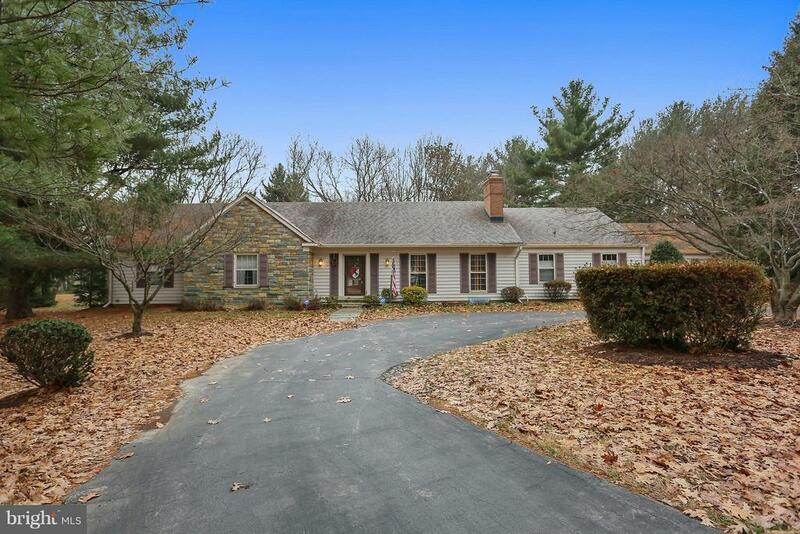 "**Incredible home in the desirable Ancient Oak community of Darnestown** This home boasts an incredible in-law/aupaire suite on the main level with its' own kitchen, full bath, enormous living area, entrance from the front and back. Additionally, this home has a formal living and dining room, great room with built-in's and cozy fireplace. There's an amazing screened porch and deck that overlook the gorgeous .89 acre landscaped lot. This is one of the best lots you will find. It's completely fenced and level. There's possibilities for a pool or sports court. Truly awesome home on a quiet tree-lined street. Must have strong Pre-Approval Letter and GCAAR Financial Information Sheet with all contracts. Contact agent with questions." "REDUCED & BACK ON MARKET! BUYERS BACKED OUT BECAUSE OF TIMEFRAME. ACTIVE SHORT SALE PROCESS READY FOR APPROVAL ALREADY BEING PROFESSIONALLY NEGOTIATED BY THIRD PARTY ATTORNEYS. GREAT PROPERTY ESTATE HOME ON 2.82 ACRES IN PRESTIGIOUS NEIGHBORHOOD, QUIET, PEACEFUL CUL-DE-SAC 2896 SQ.FT. ON MAIN LEVEL, LARGE ROOMS, POTENTIAL TO FINISH ATTIC AND EXPAND, QUALITY BUILT BY W.C MILLER BUILDERS. CLOSE TO SHOPPING AND SCHOOLS, HORSES ARE WELCOME, PREMIUM LOT, PRIVATE, EASY WALK TO DARNESTOWN SWIM AND RACQUET CLUB. NO HOA"
"MOTIVATED SELLERS! NEW PRICE! FRESH PAINT THROUT THE HOUSE! ALL MAJOR SYSTEMS UPDATED - furnace, A/C, water heater, water treatment system, sump pump. Move in worry-free! Updated expansive deck with French doors from the dining room. Deck stairs lead down to a beautiful patio with a gazebo. Everything ready for you to enjoy beautiful colors of spring and warmth of summer! 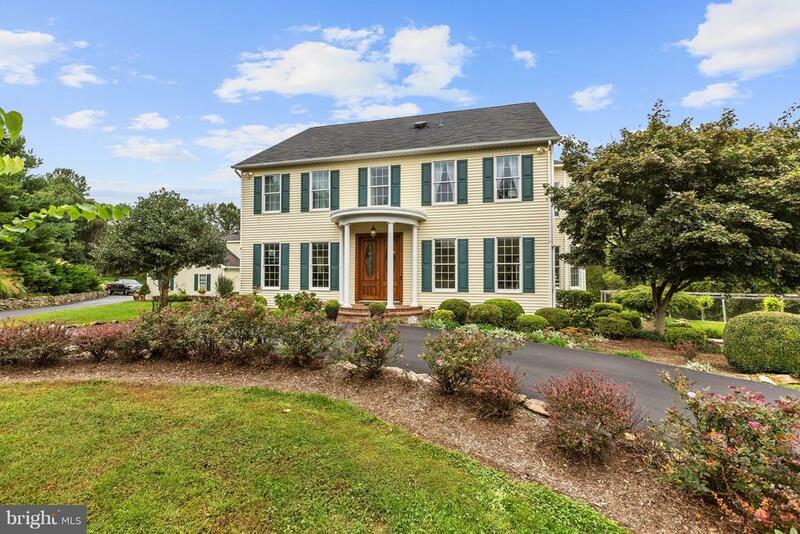 This beautiful 2-story rancher at the edge of Potomac is a getaway from everyday busy life! Big private lot backing to conservation area. As spacious inside as on outside with 4 bedrooms and 3 full baths. Potential in-laws suite on lower level with separate entrance. Garage and circle driveway. 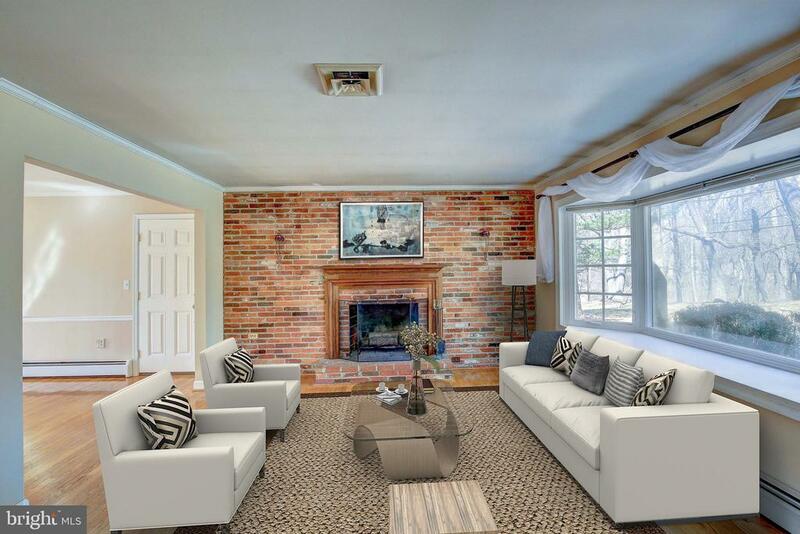 beautiful brick wall with fireplaces in the living room, huge live-in basement with a big bedroom, full bath and large entertaining area with a bar. Swift drive to River road and I-495."